More smart, connected technology is coming to retail. Retailers are moving ahead with more in-store tech ranging from virtual and augmented reality to virtual mirrors and digital voice assistants. Nearly a third (29%) plan to add augmented reality within the next thee years and 9% already use it, according to a study by BRP. Virtual reality is also on the agenda, with 7% of retailers already using it and 14% more planning to within the next 12 months, according to the online survey of executives at North American retailers, 58% of which had sales of more than $1 billion. BRP estimates that nearly a third (32%) of shoppers are likely to shop at a store offering an augmented reality experience and 29% would like virtual reality to be part of their shopping environment. Other technologies are also either here or coming at retail. Artificial intelligence in the form of voice-activated, point-of-sales terminals or digital assistants are already implemented by 23% of retailers with another 30% planning to add them within the next three years. Remote shopping where a customer shops from home via a videoconference with an associate in the store is planned within the next three years by 25% of retailers, and 21% of them have some form of it already in place. 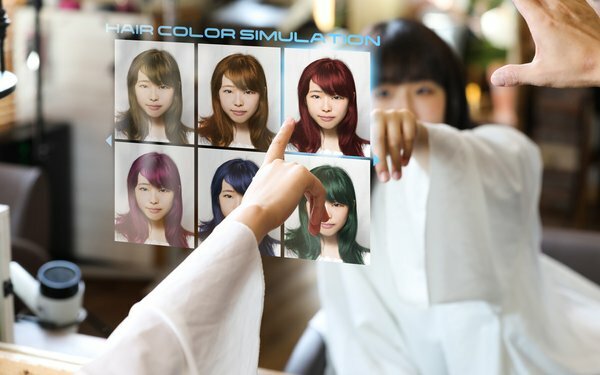 Virtual mirrors, where shoppers can see themselves in different garments, are in place with 9% of retailers, and 16% plan to have them within the next 12 months and an additional 7% within the next three years. The key is that of the technologies already implemented, most need improvements, according to the BRP survey. At least those who try some of these innovations are finding out what works and what doesn’t, so they can fine-tune their implementations. Those who don’t will not get that benefit.